At Beacon Credit Union Ag Group, you work with people that make you feel welcome. We strive to provide old-fashioned personal service, while taking advantage of the latest technologies. We meet you at your place of business and become familiar with your operation and its history. Our people are decision makers with a wealth of experience in agriculture. 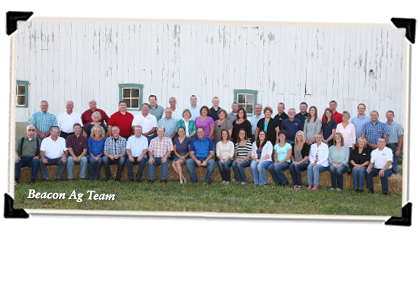 The overwhelming majority of Beacon Ag's ownership is involved in and understands agriculture. Ag people serving ag people.